Registration for Fun-A-Day-LA 2019 is live! The premise is simple: Pick a project, do it every day in January, then show your work the following month in a big group show!Participate in Fun-A-Day-LA by filling out this form and letting us know what you are doing! All 18+ welcome! Show on February 9 from 12pm - 3pm at Camera Obscura Art Lab 1450 Ocean Blvd Santa Monica. Post your progress and see what others are making on https://www.facebook.com/funadayla! Thanks to everyone who participated in Fun-A-Day-LA 2018! We caught up with friends, made some new ones and saw awesome art. This years show ranged from a felt mobile, to a 3D printed chess set to 31 photos, homemade soap, blankets for kittens to a conceptual environmental social installation and lots of postcards and alphabets and you could have your future told! Photos courtesy of Claudia Borgna. We are happy to invite you all to our Fun-A-Day-LA 2018 Art show! Fun-A-Day-LA is a simple premise where artists pick a project, do it every day in January, then show your work the following month in a big group show! Invite your friends! There will be live music, dancing, light refreshments and lots of art to enjoy (plus some of it is on sale!)! 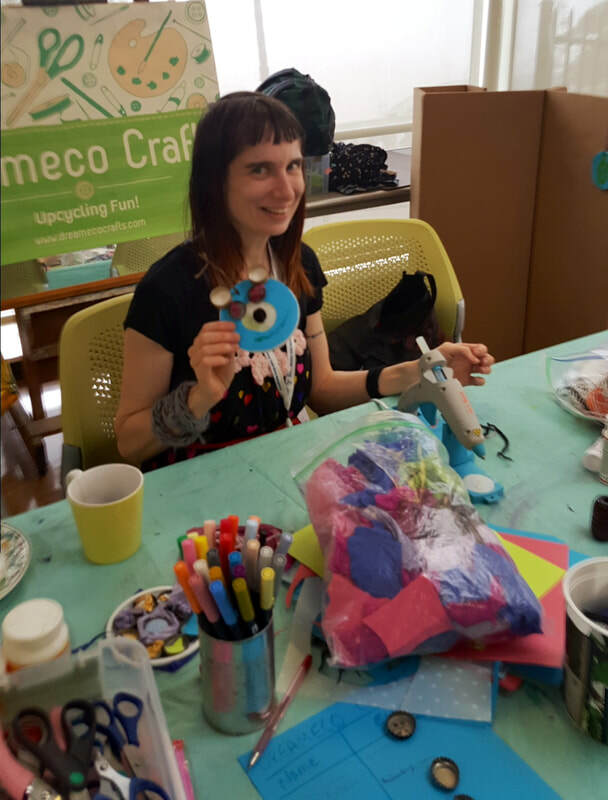 Register today for Fun-A-Day-LA and you too may be in the Camera Obscura Art Lab newsletter! A painting, a song, a photo, a poem, an illustrated word, a postcard, a dance, a drawing, a painted rock, a story, a melody, a video, a needlework, a quilt square, a sculpture! Join folks around the country who are making January their Fun-A-Day month: it's fun and small enough that you can keep going with your daily practice no matter what! 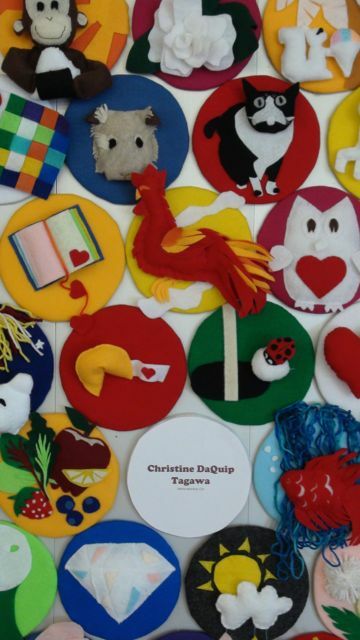 Make your commitment here, and/or RSVP to the culminating exhibit on Saturday, February 10. We are happy to announce Fun-A-Day-LA is returning to Camera Obscura Art Lab in Santa Monica for 2018! We will be there weekly to answer questions in person, help you register and work on projects! So join as an individual, a couple, a team, a family! Have some fun this January! Weekly meet ups at Camera Obscura every Saturday in January (and February 3 too) from 11am - 12pm. Show on Saturday, February 10, 2018 12pm-4pm! We've had such a blast we are already looking forward to Fun-A-Day-LA 2018! Registration form is live for January! Pick a project work on it every day (or most or some) of January 2018 and then be part of a group show in February! Parking: Street or parking structure (entrance on Palm Ave via the alley). Both free.! We hope to see you there for Art, Lobster and Beer!! 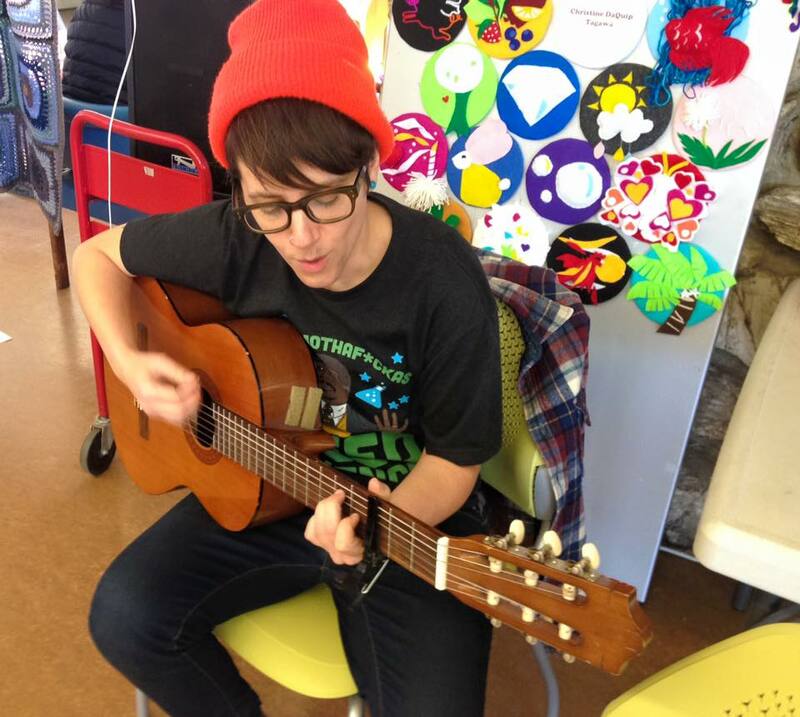 Live music by artist/musician Molly Allis at the first Fun-A-Day-LA show! It was so much fun we are doing it twice this year! Fun-A-Day-LA is accepting submissions for the month of July! We'll have a show in August or September and everyone is in it! Yay group show! Yay art! Yay building community and meeting your artist peers! Sign-up today! 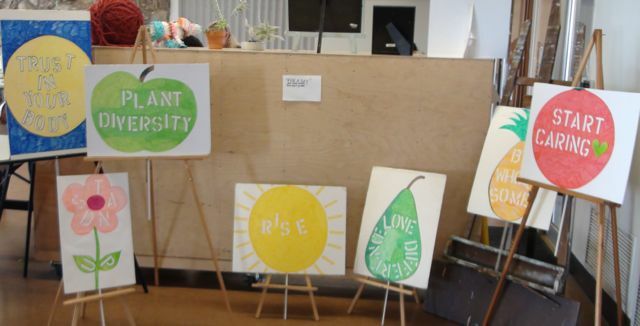 For FADLA artist Claudia Borgna created seven protest signs. Her reaction to our current political climate was so strong it begged to be shared with others. As a token of the fun she had she has shared and prepared two blog posts of her own. Join in the fun for free!